The Sirikwa Hotel is located in Western Kenya, in the heart of Eldoret town, a calm location ideal for both corporate and leisure travelers. 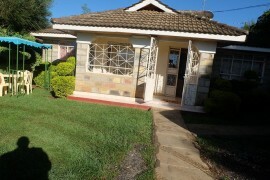 It is situated 16 km from the Eldoret International Airport with a close proximity to the CBD, ensuring easy access to social amenities, shopping malls and offices. 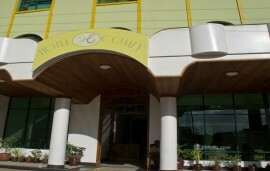 Besides luxurious amenities and services, the staff is very friendly and professional. 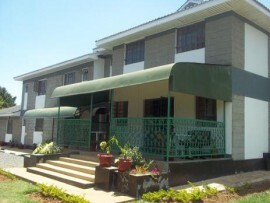 There are 105 elegant and cozy rooms within Sirikwa Hotel. Rooms are stylish, have unique views and Rooms are tastefully furnished. They contain bath tubs and hot shower in spacious bathrooms, direct telephone lines and comfortable exquisite beds. 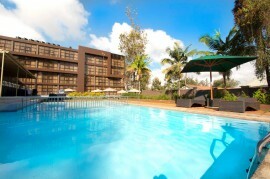 Facilities in Sirikwa Hotel include the stylish Sitatunga restaurant, a well stocked bar, an outdoor swimming pool, a gift shop and laundry services. The Great Rift Valley is a perfect place to visit as well as the Kitale museum or the Kapenguria museum falls. The environment at Sirikwa Hotel is calm and convenient for holding seminars, workshops, corporate meetings and conferences. Conference halls in the hotel can hold up to 150 pax. The outdoor environment is calm and of visible scenic beauty that makes it ideal for both corporate and social events including cocktails, expos, end-year parties and birthday parties.